This is the cover letter that accompanies your submission. It’s similar to the sort of cover letter you would send with a resume or CV – and can be just as difficult to write! Effectively, a query letter introduces you and your manuscript to the agent or publisher. It includes: who you are and why you’re writing to this person; what your manuscript is called, what it’s about, and why you think they will be interested; any relevant information about you ­– writing/publishing credits, background or experience that relates to your manuscript etc. A query letter edit includes two rounds. The first round will include marking up your existing letter with suggested changes and questions or comments about any other information that may need to be included (a structural edit of your letter). The second round will be a “clean-up” copy editing round after you have made any changes to make sure the text is tight and flows well, and get rid of typos etc. Additional rounds can be completed at an hourly rate. Turnaround: depending on schedule, usually within a week. If you would like to book a query letter edit, please fill out the quote request form here. This can be the most difficult thing for some authors to put together as it requires distilling the entire manuscript down to a few hundred words. Every agent and publisher has different guidelines, but often they ask for a synopsis of no more than 1-2 pages – that’s 250-500 words. A synopsis isn’t a blurb, so it isn’t intended to be mysterious – although it does need to hook your reader and engage their interest. However, a synopsis summarises the plot of your book from start to finish. The agent or publisher you’re submitting to wants to see at a glance how the story plays out, whether it appeals to them or the audience they cater to, and whether it is too close to anything else they’re already working on. A synopsis edit can help you cut down and overlong synopsis and make sure all the relevant details and story arcs are included, without extraneous information. It includes two rounds, similar to the query letter edit: the first to clear up any structural issues or missing information and the second to clean up the final text after changes have been implemented. Additional rounds can be completed at an hourly rate. 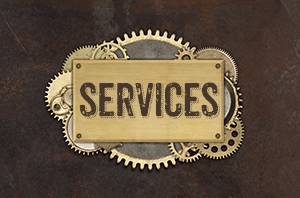 If you would like to book a synopsis edit, please fill out the quote request form here. Again, every agent and publisher has different guidelines, so one may ask for a 5-page sample (that usually means 250-words per page, for a total of 1250 words), while others may ask for the first 5,000 words, or the first chapter. Ideally you want to make sure your entire manuscript is as polished and ready for publication as it can be, but the first pages you send through will be the decider as to whether anyone requests the rest of the manuscript, so it’s worth making sure these sample pages are the best they can be and encourage your reader to keep going. These pages demonstrate your skill and style and the tone of the story described in the synopsis. This edit assumes you have a complete, edited manuscript that is ready for submission. It includes a single round of intense copy editing. If there are structural issues or other concerns, additional rounds can be completed at an hourly rate. Query for longer sample packages. If you would like to book a submission sample page edit, please fill out the quote request form here. 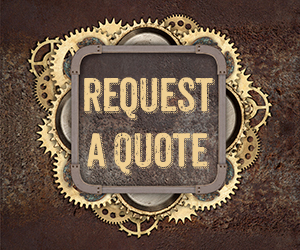 If you would like to know more about any of the above services, or if you would like a quote, please fill out the quote request form here.